I’m recently back from nearly two years in Liberia. I just attended an event at NED that was so good, I had to bring Africa in DC briefly out of retirement. Thanks to the tireless efforts of Pierre Tantchou, NED’s Program Officer for Angola, DC area Africanists were able to hear the noted Angola human rights advocate Rafael Marques de Morais debate differing “Perspectives on Transparency, Human Rights, and Civil Society in Angola” with the Angolan government’s Ambassador-at-Large, Antonio Luvualu de Carvalho. It’s been a good ride, but I am leaving DC this weekend to spend time with family. In less than two weeks I will relocate to Liberia. Please give me a holler at africaindc a t gmail.com if you will be passing through Monrovia. Please follow the blog and my Twittter (also africaindc on Twitter, as I may provide occasional updates, although for the most part, I expect the blog to go dark). I hope that some of you students and interns who often attend events, taking copious notes, will take up the mantle in providing summary recaps of think tank events. As for cultural events, keep your eyes open and you will hear about lots of interesting things, particularly as the weather is warming up. 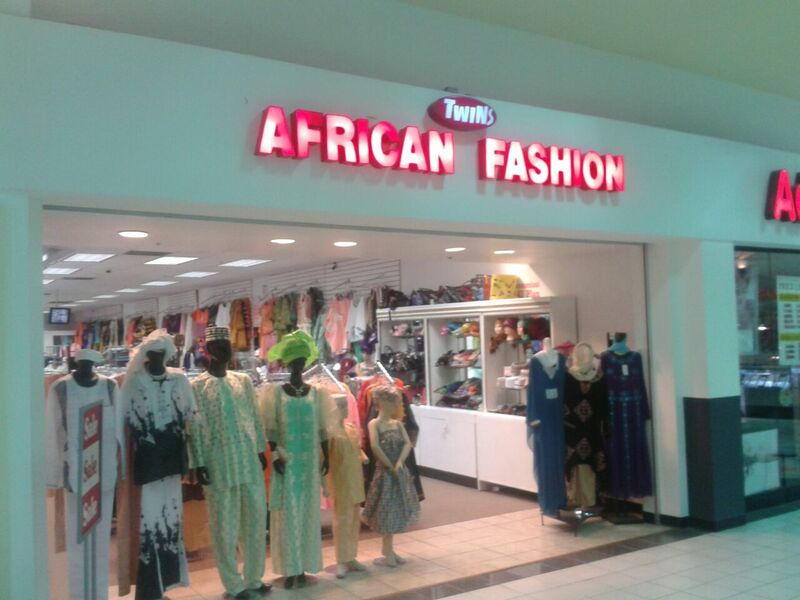 African fashion, African retail, Beltway Plaza Mall, DC malls, Greenbelt, Jodeem African Cuisine, shopping! I dropped by the Beltway Plaza Mall in Greenbelt today to watch a movie. I was surprised to note the strong African retail presence there. 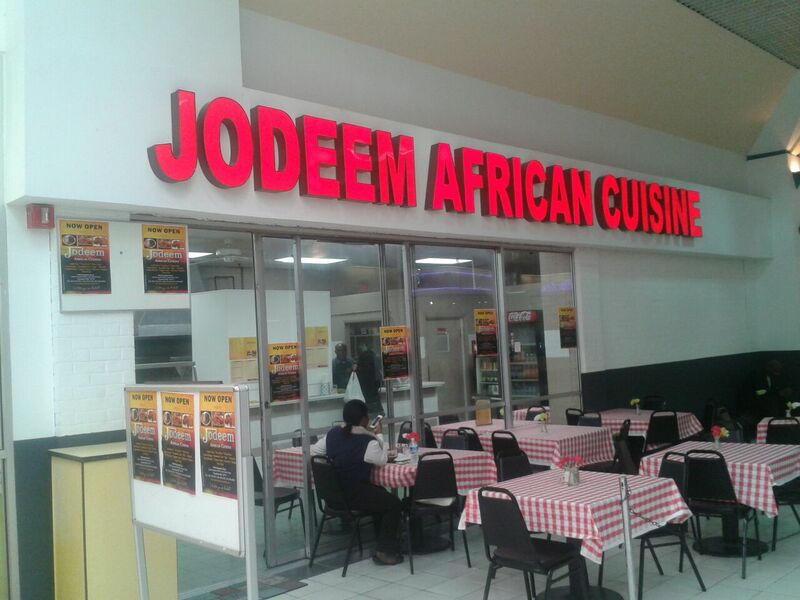 The newly opened Jodeem African Cuisine caters to hungry mall visitors/staff. I didn’t stop to chat, but the cuisine appears to be Nigerian/Cameroonian. The mall also has a store with nice and pricey articles of clothing ready to go – I saw shirts just above and below the three digit mark. After nearly 3 1/2 years of living in DC, I visited Anacostia for the first time yesterday. The Ghanaian-American (she is the only member of her family born in the US and I understand she has a northern VA background) filmmaker Akosua Adowa Owusu was on hand to discuss 5 (or was it 4?) of her short films at the Anacostia Arts Center (sponsored by the Parallel Film Collective). Esosa E, who I recognized from her appearances on An African City (which I rather enjoy, although I am behind a few episodes), sat directly in front of me in the audience. Local blogger Zach Rosen, who first brought the film and Owusu’s campaign to save the historic Rex Cinema in Accra to my attention, was also in attendance. 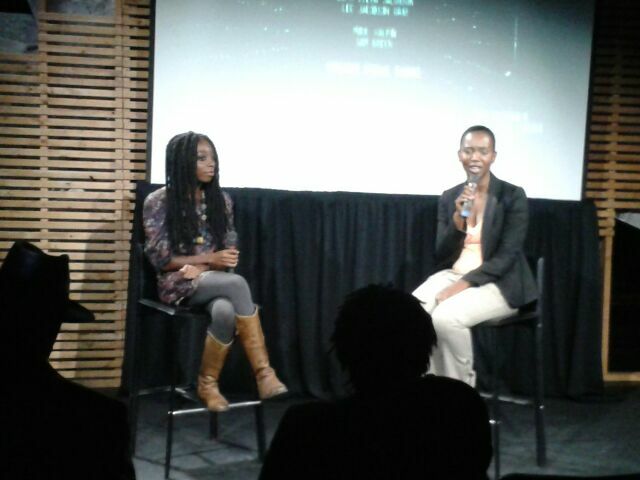 The Q&A covered a range of films, although Owusu’s latest, Kwaku Ananse, received top billing. Owusu noted that this modern adaptation of a Ghanaian/diaspora fable drew inspiration from the recent passing of her own father and her trips back to Ghana. On a similar note, she added that My White Baby, was inspired by her sister’s experience immigrating to America and being fascinated by the texture of Caucasian hair. 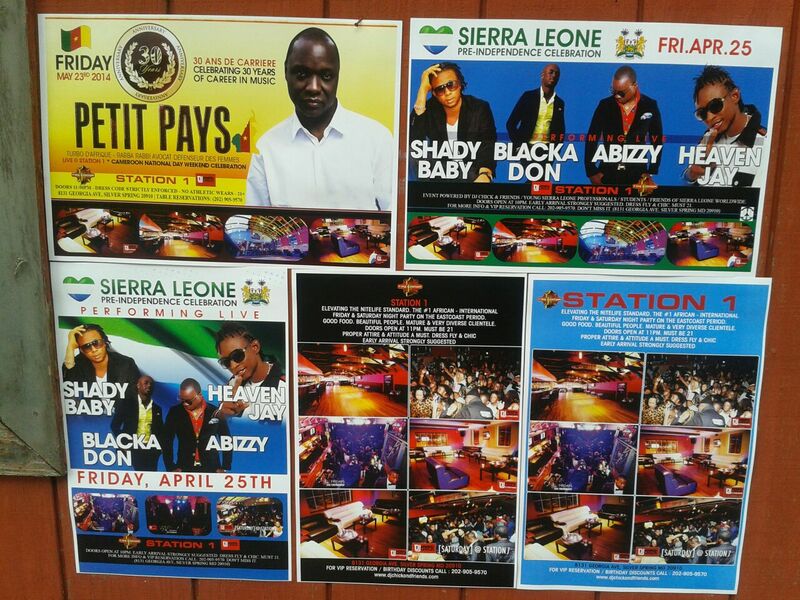 Walking by Sumah’s (a very tasty restaurant Sierra Leonean restaurant in Shaw) this evening I noticed this poster for an event celebrating Sierra Leone’s independence at Station 1 in Silver Spring – which I am yet to visit. I apologize for the declining frequency of posts – I have been very busy preparing for my move to Liberia. 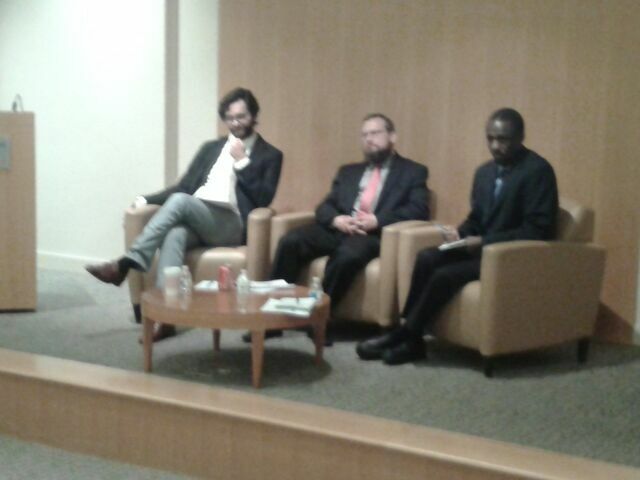 I’ve even been to a few events (such as this one with Usman Bugaje at SAIS) that I haven’t written up. Next week will likely be my last of blogging. I leave DC at the end of the month. I will plan to resume blogging in Monrovia, with a different angle. Vukasin Petrovic, Director of sub-Saharan Africa Programs at Freedom House was one of the two speakers and the only one I heard deliver his full set of remarks. His main theme was one of negativity. Petrovic noted that East Africa is one of the least democratic regions on the continent and that Kenya’s governance situation decreased democratically with the election of Uhuru Kenyatta. Petrovic noted that Kenyatta has took stops to close ‘operating space for civil society and media’, modeled on Ethiopia’s moves to clamp down on opposition following that country’s 2005 elections.